What was advertising is now art By Martha Steger Martha Steger is a freelance journalist based in Midlothian, Virginia. In March, this 1934 Alex Diggelmann poster of Switzerland’s resort town of Gstaad sold for an auction record of $30,000 at Swann Galleries, prompting many to pay closer attention to the travel posters market. Courtesy of Swann Galleries. 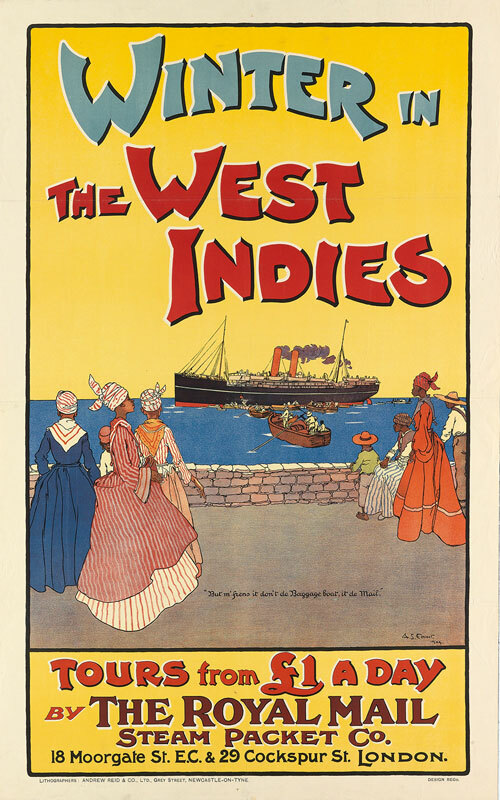 At a December 2014 sale of travel posters from the Julius Paul Collection at Swann Galleries, “Winter in the West Indies” (1904) by A. S. Forrest realized $1,063. Courtesy of Swann Galleries. 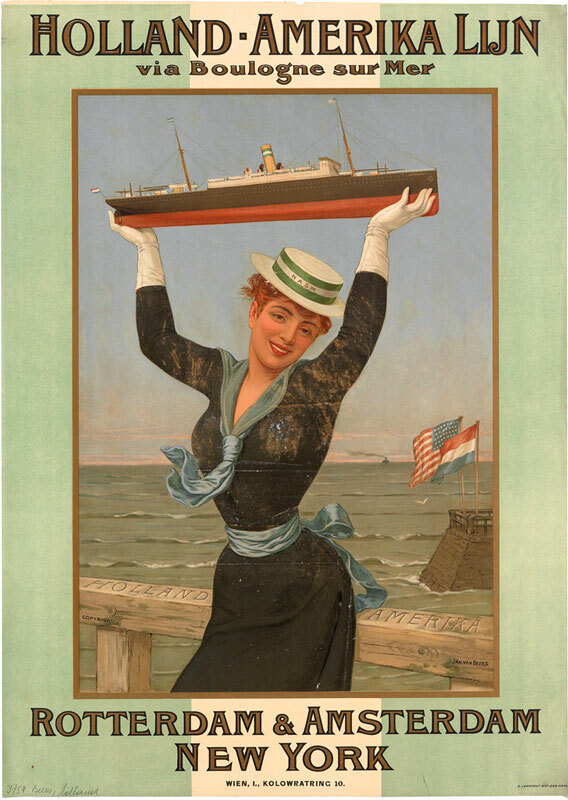 The top lot of that sale was this poster for “Holland-Amerika Lijn” (1898) by Jan Van Beers. It reached $7,500. Courtesy of Swann Galleries. 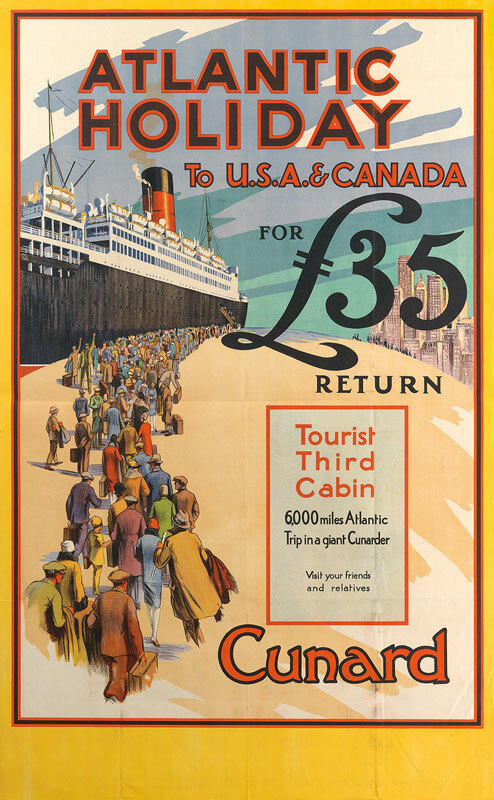 At the same sale, “Atlantic Holiday to U.S.A. & Canada” by an unknown designer for Cunard, c. 1939, made $1,500. Courtesy of Swann Galleries. Three years ago, New York’s Swann Galleries achieved its all-time best sale for a travel poster when “L.M.S./Best Way,” with its stylized railroad graphic, achieved $162,500. The catalogue copy describing the 1928 poster by the Ukranian-French artist known as Cassandre reads like the description of a work of art: dimensions, condition, mounting, restoration and repairs, and the story accompanying its creation. Lowry explained, “The most famous artist of travel posters during the Art Deco period, the master of the genre, created the poster.” Only fifty copies were printed because the poster was never used by the London, Midland & Scotland Railroad for which it was created. Last June another travel poster by Cassandre, L’Atlantique, an Art Deco portrayal of an ocean liner’s bow, brought $50,880 at Christie’s Art of Travel auction in London. Christie’s also has a dedicated poster department with travel posters featured at auctions throughout the year. As collectible art, vintage posters are still relatively approachable. “A lot of people like art, but they can’t afford a Giacometti,” said Lowry. “Travel posters are often of places people have visited or where they’re from�and posters in the $2,000-4,000 price range are affordable. 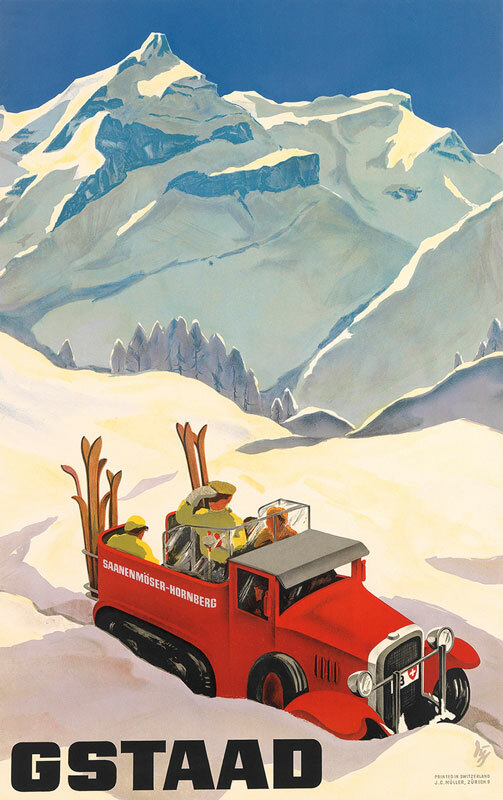 Sub-categories of travel posters include ski posters, which have taken on a life of their own; golf posters, which can go for $10,000-20,000; and railroad posters, which are usually cheaper than vintage golf posters but have a big following.” Christie’s holds a themed “Ski Sale” vintage poster auction every January. Swann Galleries holds five poster events annually, at least one of which is solely dedicated to travel posters, which comprise about a quarter of the 1,500-1,700 posters sold in total at all events. Of those, Lowry estimated 200 are “rare and important posters.” Movie posters are another popular category. While auctions held in New York or London are bound to draw the heavyweight collectors, touristy locales can also beckon buyers. Julia Santen of Julia Santen Gallery in Charleston, South Carolina, estimated that as much as 80 percent of her sales are to travelers in the area, and 35-40 percent of the posters she sells are travel posters. Both Stypeck and Santen said they buy what they like and what can display well in the showroom. “So many of the travel posters have great images that I can’t pass them up,” Santen said. Martha Steger is a freelance journalist based in Midlothian, Virginia.